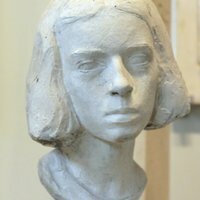 Portrait of Marion Kirk in plaster on plaster base. Two piece plaster exterior, rubber interior mold, plaster core. 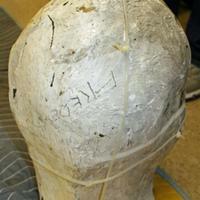 "Girls Head, Bad Mold" written on mold. Figure is unknown unless we open the mold. Mold is bound together with plastic zip ties.